New color-changing modern LED bulbs are all-the-rage in domestic and commercial spaces. High-tech, top notch name brand bulbs are finally coming down in price and are quite affordable for a starter kit. The bulbs can pair with most Bluetooth devices, and the newest models connect to your Google home or Amazon Echo, and even your home WiFi. You can set them to any color you desire and even dim and turn them off with your phone! Setting bulbs to all warm tones helps create a warmer appearance overall in the aesthetic of your home. Don’t have one? Get one for next Winter. You won’t regret it! Can’t run a gas line? 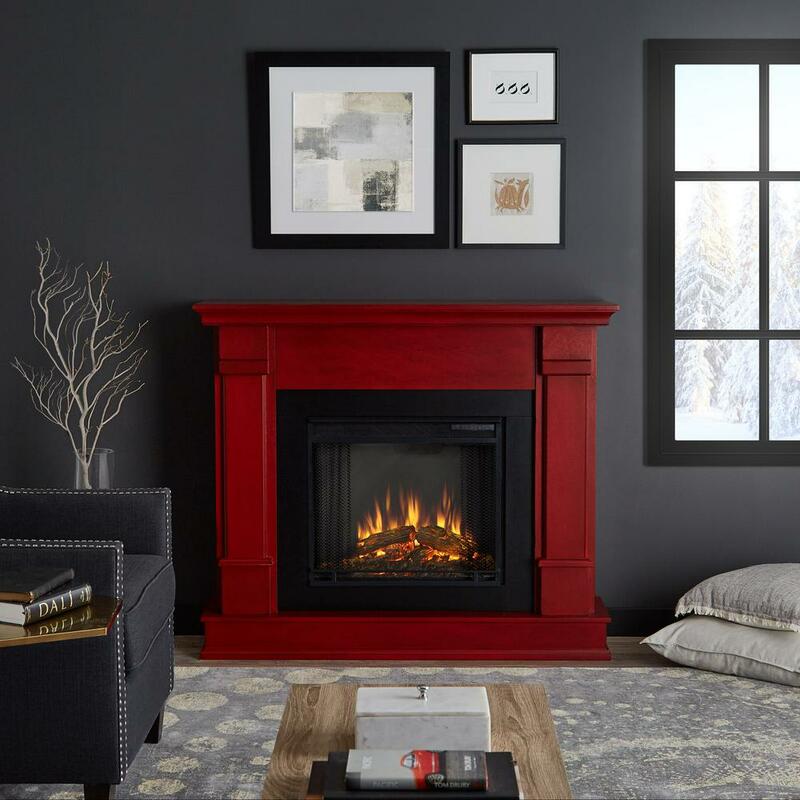 The Real Flame Silverton Ventless Fireplace (red model in photo) runs on gel fuel and cranks out the BTU’s just like a real fireplace. Plus, these fireplaces look super luxurious – and at only $500 – you can’t afford not to get one! Can’t spring for the $500 Silverton? Well for FREE, it may not be a physical fireplace, but you can have a virtual fireplace like this one on YouTube with real fireplace sound effects. 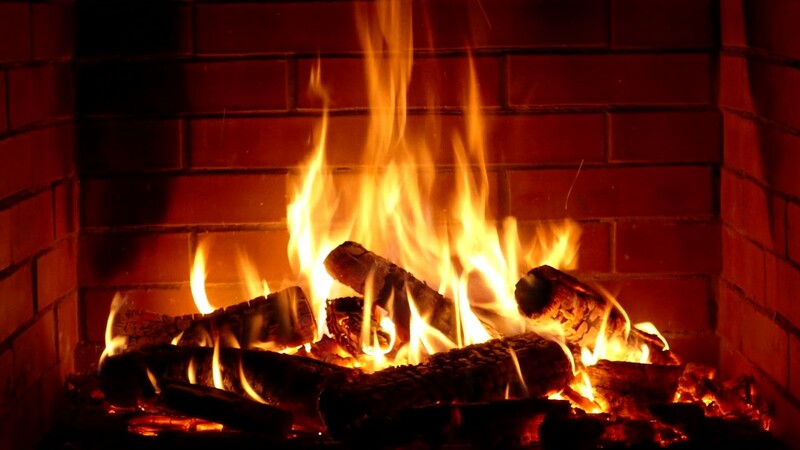 Even a virtual fireplace on you TV or computer can warm up the environment. Warm It Up – Physically! Alternatively, try out the ultimate luxury by being engulfed in a bed of warmth – warm up both sides of your body by getting a heated mattress pad along with your heated blanket. There is absolutely nothing like getting into a pre-warmed-up bed – especially if you are the type of person who shivers when crawling into your chilly sheets at night. Honeywell heaters These little from $25 to $100 devices are a lifesaver for drafty indoor spaces. They come in all shapes and sizes, you are sure to find one to fit your space. Note: An average heater cranks out about 5100 BTU’s (British Thermal Units,) that’s enough to heat an average room size of 144 square feet. Once you find the one you want, the only problem you will have is not wanting to move out from in front of your little cozy heater. The most efficient heater we’ve tried is the Cambridge Cylinder Propane Heater. Not to mention, the elegant bronze finish is classy too. 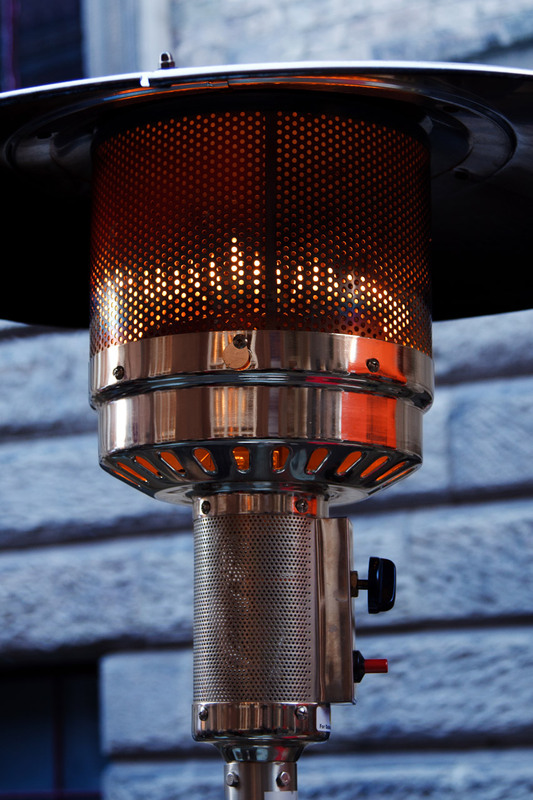 These heaters are made for outdoor use – patios, garages, and decks. Two of these bad boys on a deck for $500 each you can literally move the party outdoors, even on the coldest days! Read more about energy efficient windows and how they can make a dramatic difference in the heating cost and comfortability of your home here. Do you have any other cozy suggestions to help stay warm this Winter? Feel free to comment, or share our post on Facebook and see if your friends have any more excellent ideas on how to stay toasty!